The Florida Department of Health also has available dentist and dental hygienist workforce reports. Improving the oral health of children in Medicaid and CHIP continues to be a priority for CMS and for states across the nation. 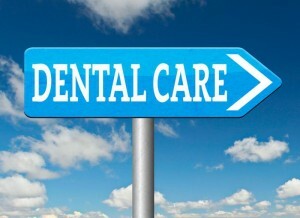 PIPs are an important strategy for states with managed care programs looking to enhance their oral health care delivery systems. Leverage the expertise of external entities, such as External Quality Review Organizations, which already provide analytic support to state Medicaid managed care programs. As described in the two how-to manuals, the PIP template can be customized by state Medicaid agency staff to meet the state’s objectives in the areas of children’s oral health, quality improvement, and/or managed care oversight, and subsequently be used by health plan staff for intervention implementation. These and other resources have been developed through the CMS Oral Health Initiative, a federal effort to advance improvements in children’s oral health by providing performance data, tools, and technical assistance to states and their oral health stakeholders. We invite you to share them with others interested in advancing these goals. CMS is readying the launch of a learning collaborative for states interested in using these new tools in a learning environment. For any questions regarding the learning collaborative or these resources, please contact Laurie Norris, Senior Policy Advisor at CMS, at laurie.norris@cms.hhs.gov.